A photos and some specifications on a new HTC desire smartphone have appeared online, the HTC Desire 8, and the handset will come with a 5.5 inch display. There are no details as yet on the resolution of the display on the HTC Desire 8, although as the handset is sad to be a mid range device we would expect a resolution of at least 1280 x 720 pixels or possibly 1920 x 1080 pixels. The HTC Desire 8 will come with a dual SIM card slot and will feature front and rear facing cameras, with a reported 5 megapixel front camera and a 13 megapixel rear camera. We are not sure if this new HTC Desire 8 handset will be announced at Mobile World Congress later this month, as the screenshot mentions March the 18th, so it would possibly be announced then. 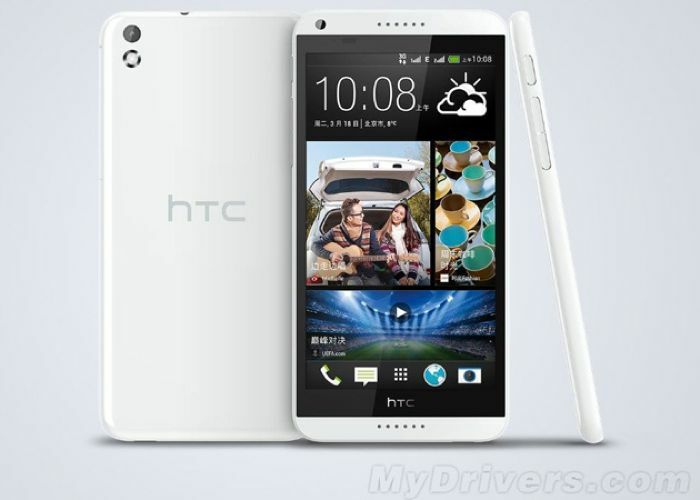 As soon as we get some more information on the HTC Desire 8, including confirmation of the specifications and also some more pictures, we will let you guys know.